Mike has always been a sporty guy including Judo, swimming and Rugby. He sustained a back injury which mean’t, he couldn’t carry on with Rugby so side stepped into Kung-Fu & Kick-boxing and has always participated in strength and conditioning work. He now also Wake boards at any given opportunity. 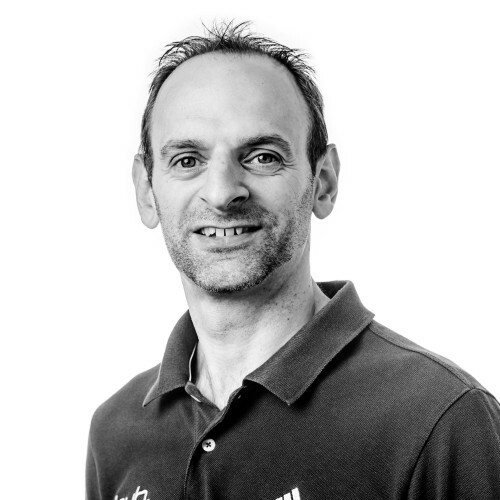 Mike trained at the London School of Sports Massage and Qualified in February 2005 and has been treating people since, working alongside Osteopaths, Chiropractors and Physiotherapists closely. He discovered Soft Tissue / Sports Massage therapy while working in Hong Kong and realised just how much it benefitted his training from the performance to the recovery. He has continually got his head in the books and always progressing his knowledge. The subjects ranging from Performance, Strength & Conditioning, mobility/stability, modes of treatment and always looking for ways to better treat his patients. Mike is also a fully qualified Personal Trainer which started off when he worked in Hong Kong in 1997, working along side Amateur Athletes and competitive Power Lifters, Body builders and other sporting people. As well as being into his sports, he is also heavily into music and enjoys the typical man subject of cars.